Very uncommon Kelly image, this is the first time we have seen this particular view. Extremely well contrasted, the image is of superb quality. The card has edge wear and some back wear, it is not bad at all overall. 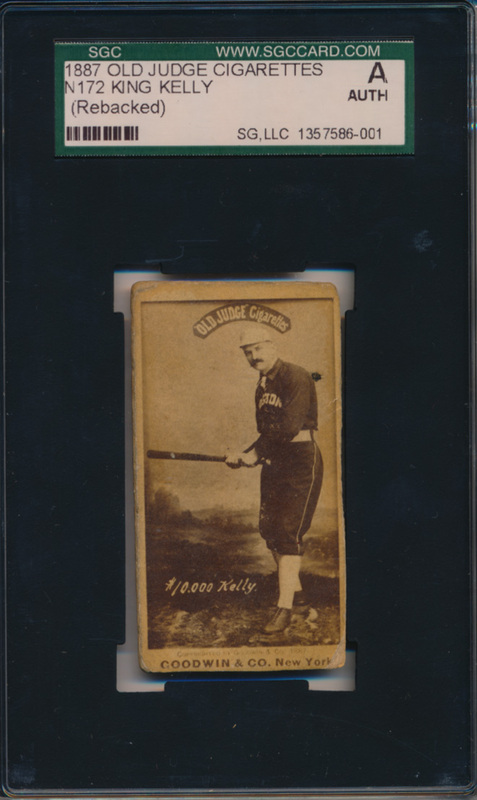 A key Old Judge HOFer, a tight cut at the bottom border may have led to the Authentic grade, we are not sure.